The whip whop can be used in place of a whip or spurs for more forward going movement in the horse. 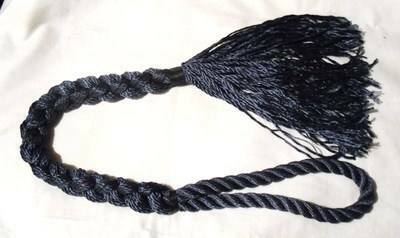 Made from a quality polyester rope in navy, this whip whop is soft and silky to hold and has a thick tassel end. Also great for swishing away those flies when riding!